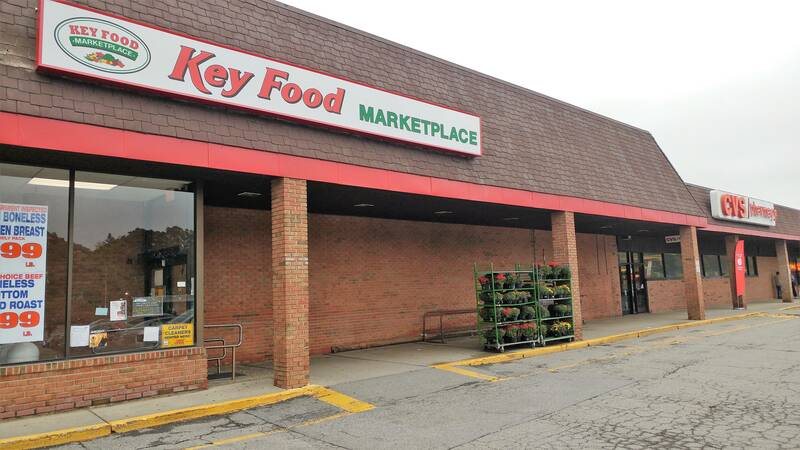 Key Food in Peekskill Closes Suddenly . 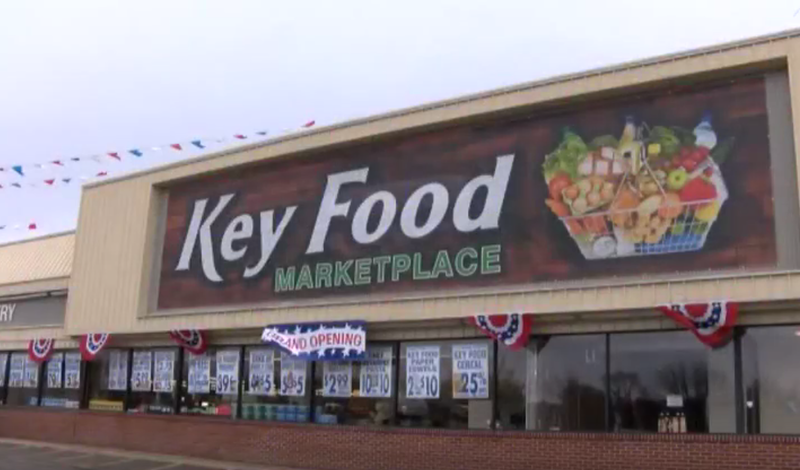 . .
April 26, 2017 marked the end of the road for the Key Food Marketplace in Peekskill, NY, which had its grand opening April 7, 2016, meaning it was fully up and running for one year and 19 days. The store, after closing, still had its Grand Opening banners up. That's always sad. You can see in the picture above the store never even got a real sign, just an oversized banner. It also didn't take over the entire footprint of the A&P it replaced; you can see the vacant part in the windows above. 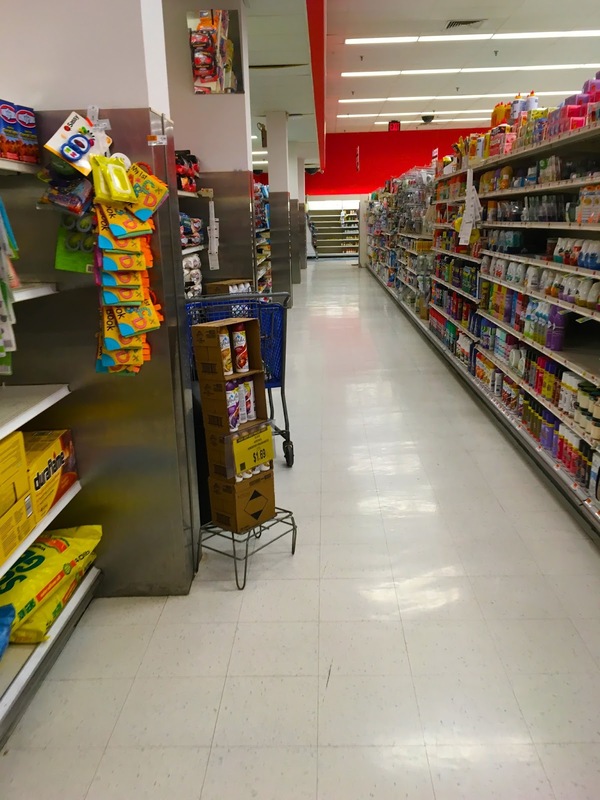 It's unclear what exactly caused this store to close so abruptly, leaving all the products on the shelves and most employees and customers clueless. 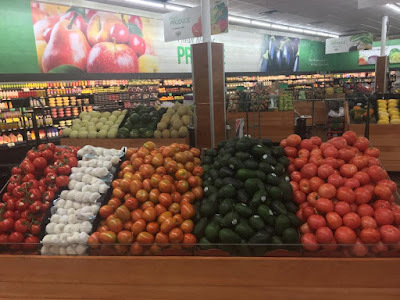 Peekskill Green Grocers is an independent supermarket owned and operated by Zayed "Junior" Dabashi, who also owns Key Food stores in Beacon, NY; Mahopac, NY; and Milford, PA - all of which are former Grand Unions, by the way. We visited the Beacon location in May 2016. I'm not sure at this point whether Peekskill Green Grocers will operate under Key Food or independently. I also don't know exactly what its focus will be; it might me more of a greengrocer as the name suggests, or it could be higher-end. I don't really know. Certain posters on Facebook have not been exactly kind to that Key Food, and have shown similar responses to the prospect of a new independent. The truth is, it's too early to tell. Key Food Beacon was very clean, well-organized, and well-maintained, and the produce looked good. The selection was surprisingly good for a small independent. Personally I like Dabashi's stores, but I'm sure many don't. His location in Mahopac, NY will be closing soon to be replaced by a Stop & Shop (just what we need, a cookie-cutter chain in place of a family-owned business). It's not closing because of a lack of business, just that the landlord didn't renew the lease. It seems to me that they will simply pick up their operation in Mahopac and move it to Peekskill, which would make sense. 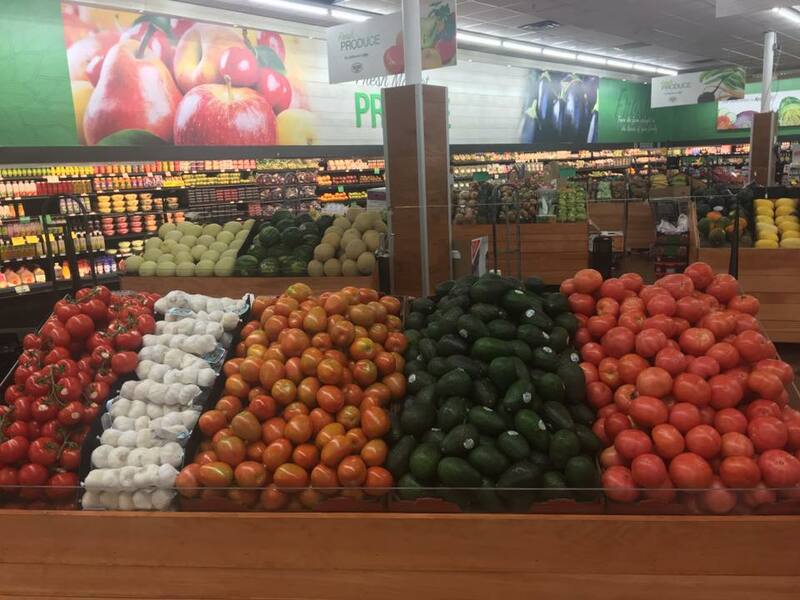 Peekskill Green Grocers Opens Today! While Superfresh Garwood claimed on its Facebook page that it would re-open soon after renovations, I personally don't think that will happen. Supporting my speculation is this document on the real estate company's website, which lists the 52,000 square foot space as being available. (I specifically remember it listing The Food Emporium as an anchor tenant in the past.) We'll have to see how that goes. Its listing also is gone from the Key Food website, and its website (superfreshgarwood.com) simply redirects to the Key Food store locator. Click on the images above to tour the Superfresh / Food Emporium. 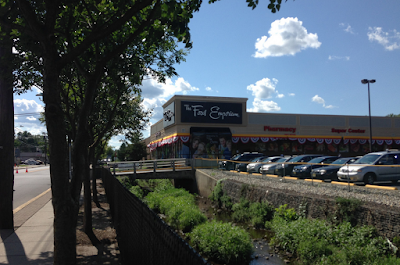 Another independent, this one in Belleville, NJ will replace a former Fine Fare that replaced a former Food Basics. 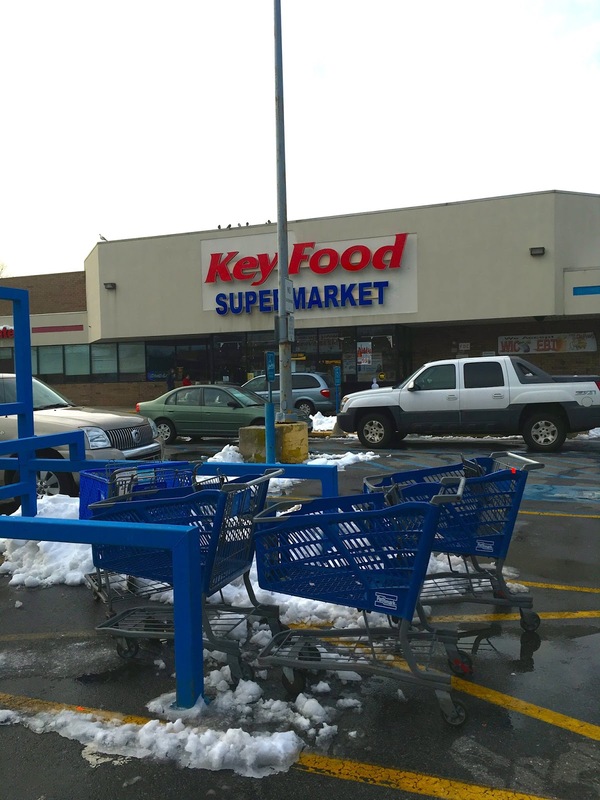 Bell Farm Supermarket appears to be owned by Kevin Kim, who also owned the Garwood Superfresh. Click on the image above to tour the Fine Fare. This 25,000 square foot store is opening this spring in a new-build complex located on a former abandoned industrial site in a lower-income neighborhood of Elizabeth. 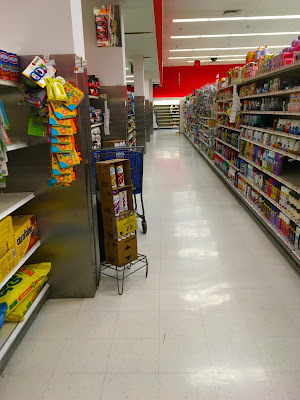 It's just blocks from CitiGrocer, which is slightly larger, and also a new-build store, that opened September 2015. Supermarkets Plus is almost ready to open and according to an article about the group that owns it, will include a pharmacy and a hardware department. At this point it looks almost ready to open! 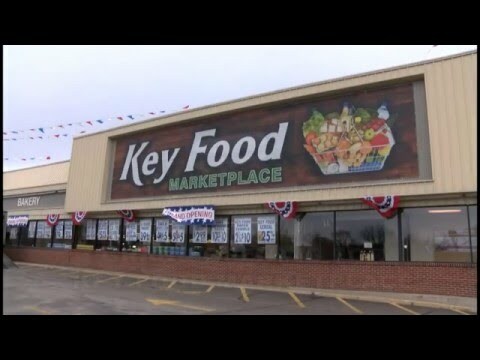 This store was originally planned to be a Key Food, then a Foodtown. The store's owner, Supermarkets Plus LLC (supermarketsplus.com) decided to go with IGA for this store, which seems a slightly strange choice to me.